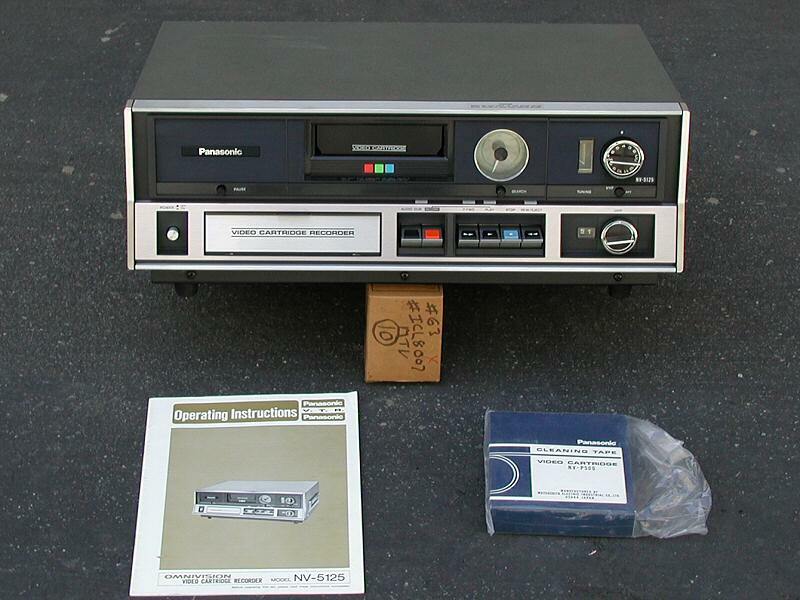 Panasonic NV-5110 EIAJ-2 Video Cartridge Recorder . This is an EIAJ-2 format, 1/2 inch Color Cartridge Video Tape Recorder. Shown with a cleaning tape and operator's manual. This is the recorder version of the play only [Panasonic NV-5110]. It contains facilities for external video and audio inputs as well as a built-in VHF/UHF TV receiver. The signal recording format is identical to EIAJ-1, it's only the cartridge that makes this one different. Running time is only 30 minutes and the tape must be entirely rewound before it can be removed from the deck. 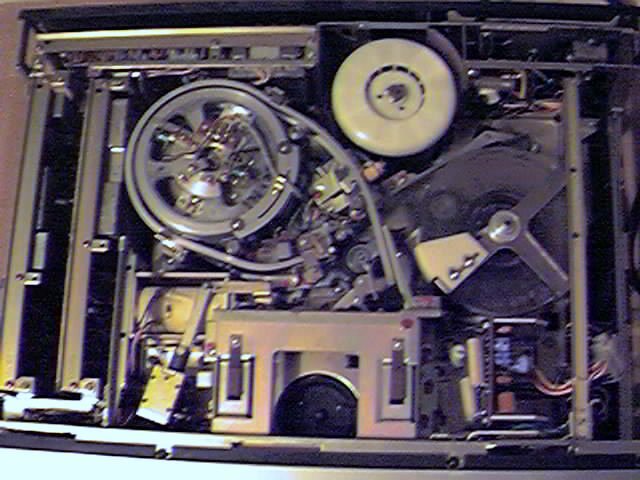 This makes viewing multiple tapes time consuming if you take into account the time it takes to rewind each tape. Because the NV-5125 contains a complex threading system and a captive take up reel, tape jams are extremely difficult to clear. The picture, on the right of my NV-5110, gives a clue to the complexity of this type of system. Labguy's World received this machine, brand new in the box as a donation from Michael Duncan. Thanks Mike!